Watch an incredible AC/DC-meets-Vivaldi cello duet, which is bringing classical music to more than a million people a day. Croatian cellists Luka Sulic and Stjepan Hauser, otherwise known as 2Cellos, have arranged their own version of AC/DC's Thunderstruck from their 1990 album The Razors Edge. Since posting the version last week, the video has amassed more than a million views every day, and trended on the front page of YouTube. The video features the two performers dressed in traditional costumes, performing what appears to be a Baroque concert to well-to-do members of society. The music quickly shifts from a Vivaldi-style cello duet to a full-blown rock cover, complete with bow hair breakages and cello percussion. 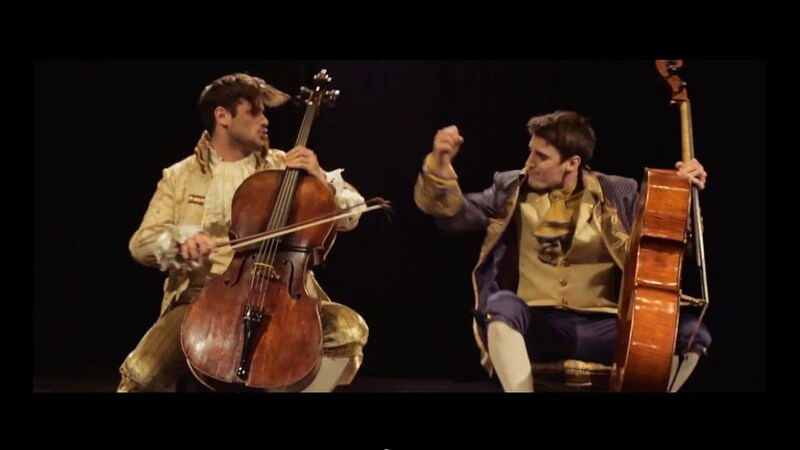 Luka and Stjepan are shocked by just how well the video has gone down online, posting on Twitter and Facebook every time Thunderstruck reaches another million views. The cello duet have already wowed the musical world with their classical-rock crossovers, including instrumental versions of Supermassive Black Hole and Highway to Hell on their 2012 album In2ition.